1. 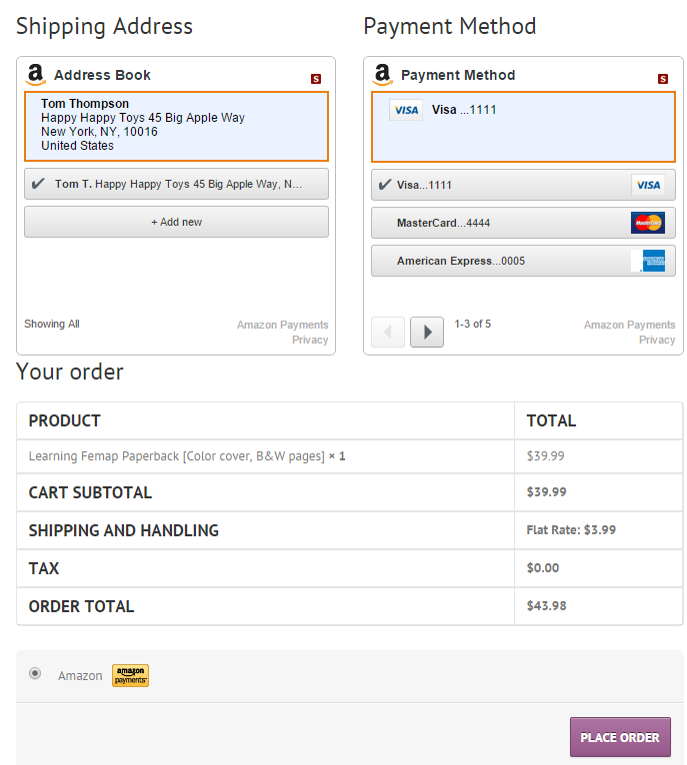 Make your selection and click the purple Add to cart button. 2. Click the View Cart button at right. 3. Click Pay with Amazon. Amazon is the sole processor of online sales for this website. You must use this method to pay for your order. 4. A pop-up will appear (be careful if you have a pop-up blocker). Login with your normal Amazon.com account or create a new one for this purchase. 5. Fill out the required information on the Amazon website. 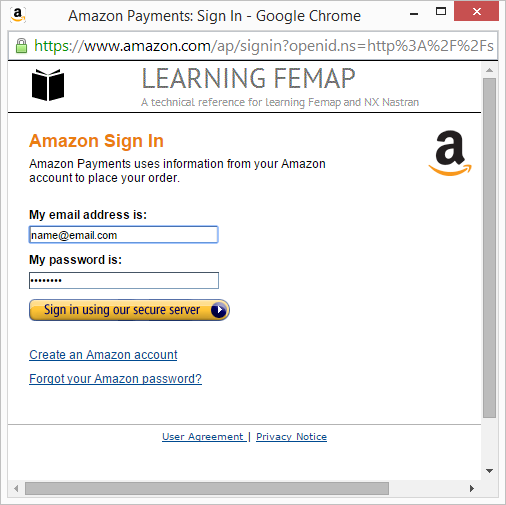 Once Amazon has the information it needs to process the payment, the necessary information will be delivered back to the Learning Femap website. It should appear as shown below. Click Place Order to complete the purchase. 6. Congratulations! Have a beer while you wait. 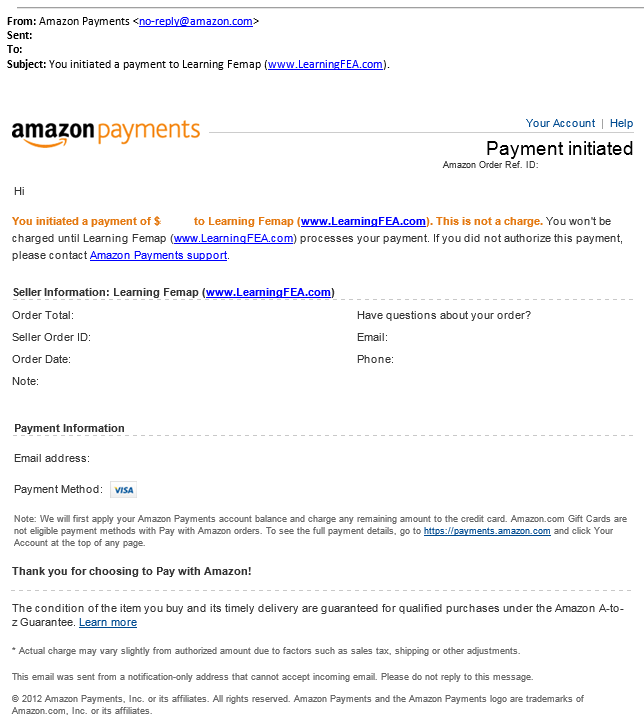 You will receive an email from both Amazon and LearningFEA.com with the initial details of the order. 7. 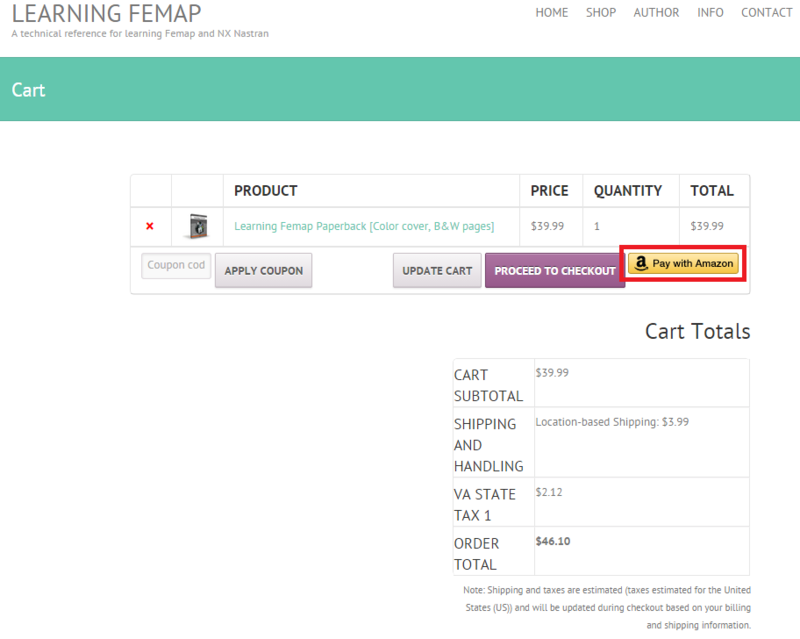 Once the order begins processing you will receive an email from LearningFEA.com. One the order is shipped (completed), you will receive another confirmation email from both LearningFEA.com. This is when the payment is fully processed, prompting another email from Amazon Payments. US orders should take 2-9 days to arrive (but generally on the lower end). International orders take a minimum of 6 days, and the final delivery date is highly dependent upon the customs policies of each country. 8. This last one is optional. 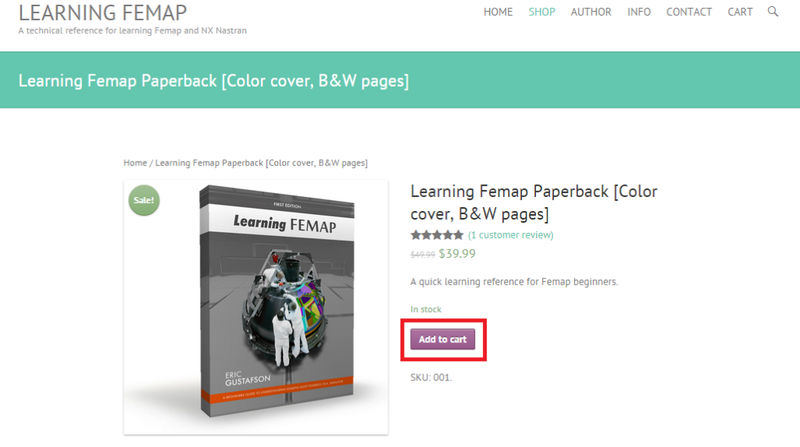 Please submit your review of Learning Femap to the product page!